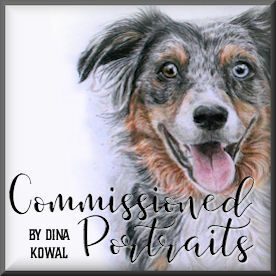 Dina Kowal Creative: Let's get this party started!! It's time to celebrate the one-year Anniversary of Our Daily Bread designs! It was one year ago today that owner Kelley Holland began her adventure. What a fun adventure it has been, and look where we are a year later! Great products and inspirational stamps! I've even had the privilege of designing some of the stamp sets available from ODBD - I think that's pretty cool! This is the first stop for the team's blog hop, so whether you meant to start here or not, you are in the right place!! There are goodies for you along the way as you move from one team member's blog to the next, and it's important to hit the blogs in the order of the Hop. There is blog candy along the way too! Make sure you visit the blogs in the order we send you, or you may miss it. For a special grand prize, we are playing "Scripture Scramble!" Each blog has one or two words that you can collect at each stop and put together to make a scripture verse (NIV edition). Once you have collected all the words, send the verse in the correct order, along with the scripture reference by EMAIL to our DT Coordinator, Judy Rozema, at lidaroseroz@gmail.com. Correct entries will be put into a Bread Basket and the Grand Prize winner will receive a set of their choosing from Our Daily Bread designs AND a selection of cards made especially for this celebration by some of the Design Team members. How cool is that?! Be sure to enter by midnight CST on March 19th! Speaking of scriptures, today is the release of two new sets: Scripture Collections 1 & 2. Each of the Design Team members chose a verse that is special to them and Kelley made those verses into stamps, and split into two special anniversary sets that are available for purchase today! This is my verse - it's always been one of my favorites. A reason for hope - the FACT that no matter what I face, no matter how hard I fall, no matter how much I think I have failed - the Lord is faithful, and never changes. In fact, although His compassions are bottomless, every morning they are NEW, and directed toward me. That's an amazing God! My second card features a photo I took of a Oregon sunrise - my Aunt lives on gorgeous property on a hillside overlooking a river, and I took so many pictures there when we were home last year. I love the thought of a sunrise with this verse - the newness of God's compassion every morning. The verse is stamped on vellum and stitched to the photo. The corners are hand-cut, and the flourish in the corner was part of the design of the paper. Now, to continue on, next you'll be visiting Holly at Toy's Haven. Wait until you see what she has to show you! Gorgeous! I love the fonts used on the scriptures...your cards a stunning! They both are soft--and they have the focus on the verse!! Very pretty. Love the different fonts. What a beautiful verse - love the vellum over the photograph - great cards to inspire us today! oh Dina...they're just beautiful! awesome!!! Both are gorgeous! Love that vellum over the photo!! Dina, both cards are just beautiful!!!! Love the framing with touches of pearls, and the vellum overlay is stunning, too!!! Your cards are just stunning. I just love seeing your creative and inspiring projects. Thanks for sharing your MOJO! Hi, I'm new here, first time but I can tell you it won't be the last! (I even subscribed to be sure I don't miss out, lol) I love your work, and love the card with the pic behind it!! It is so soft, and a wonderful scripture. Dina, Thank you for starting us off right! Your photo cards are beautiful!! Beautiful Cards Dina, as always!!! You started our blog hop off with a bang! Love the softness of them. Great verse too!! Have a great day!! Absolutely one of my favorite Bible verses! I think I shared earlier how I watched the waves clean the sand early in the morning. That verse (that I didn't know all that well at the time) came to mind. I had to email my BSF discussion leader to ask the book, chapter and verse to commit it acurately to memory! Your card, as always, is amazing! And I am so glad to be able to have a stamp of the verse. The Anniversary Celebration has been fun! ~*Truly Blessed...that is always how I feel when I have visited your blog Dina. I love to use photos my kids have taken on cards for their grandparents & teachers. Thanks for the vellum and scripture idea. time to get busy! TFS! So very pretty! Love this verse! Beautiful cards, Dina. Love that verse too. Like how you used the photo of your Aunts place on the last one. Phyllis M.
What better way to share God's love and His Word than with a beautiful verse displayed on a beautiful card. I like this game but I am terrible at it. Congradulations on you Anniversary. Your cards are beautiful. Dina, these are both amazing. I love the soft look of the vellum over the photograph. Thanks for sharing your favorite verse! It's a beautiful one! Congrats on 1 yr! Gorgeous cards, Dina!! Wow! These cards are beautiful. I love the look that the vellum gives them. Amazing...your cards are over the top gorgeous. Love how you incorporated the photo. I see Oregon in those trees and sky :) ! I'm on the coast and we're blessed with some incredible scenery. 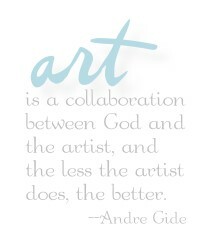 Take care and keep up the beautiful work, both in your cards and your designing!! Wow, Dina!!! Not only are you a very talented stamper...but your photography is stunning as well!! I just love how you combined both! God has really gifted you as an artist! Beautiful card!! Love the oval framing and the bow is gorgeous!! Love these cards, they are gorgeous! So excited about this new release. Thanks for sharing your cards. Oh wow! Your card are all stunning! Love these scripture stamps too!! Wow!! Stunning!! Those verses are amazing!! WOW! Beautiful Cards! Such life-giving words from THE Word! What a beautiful verse. Love what you created with them. Dina, what you are sharing with us today is truly magnificent. The scripture you chose is fabulous and yes, what a wonderful reminder that we have an amazing God. This is beautiful my dear! Beautiful cards! Thanks for sharing one of your favorite verses. These cards are amazing!!! Can't wait to get these stamps!!! Beautiful cards! I love the verse you chose...also happens to be my favorite hymn! Gorgeous cards. I love the way you used the photo behind the stamped vellum. Beautiful verse, beautiful card! Thanks for sharing! Dina, I love these two verses. The cards you made with them are gorgeous! WOW, I can't believe how incredibly beautiful your cards are!!! And the scriptures just make them that more beautiful!!! Thank you for sharing! Hello, I am new to this blog comment idea but I am really glad to tell you how much I like what you are doing with the new Bible passages. I can't wait to get the sets and use your ideas. Thank you so much. Love the purple one...the vellum with the picture behind it really makes it pop! Lovely, lovely! Great choice of scripture! Beautiful scripture choice! I love the cards you designed for it! Beautiful scripture and beautiful cards! Thank you for the inspiration! More scripture stamps ... hurrah! Those are so breathtakingly beautiful!!! Thanks for getting the party started!!! Your cards showcase these wonderful verses of Scripture perfectly! They are absolutely gorgeous! Dina, These are all so beautiful!! Love your all of your creations. Amazing Dina! Just absolutely beautiful! Dina - what a divine gift of creation you have with your cards! Such a joy to read and see each day! Blessings! how do u find time with your kids to make these cute cards? Dina, I love how your cards emphasize the scripture. They are beautiful. Love the cards you shared and the one with the oval and ribbon is amazing!